German house music producer Robin Schulz became an overnight sensation when he scored an international smash hit with his very first commercial release, a lush remix of “Waves” by Dutch rapper Mr. Probz. It hit number one in six European countries and number three in six more, and his follow-up, a club-ready remix of French indie pop duo Lilly Wood & the Prick’s “Prayer in C,” was even more successful, going to number one in ten European countries. It wasn’t as though Robin Schulz hadn’t paid his dues, however. Born on April 28, 1987 in Osnabrück, he began DJ’ing at the tender age of 17, influenced by the likes of Richie Hawtin, Sven Väth, Armand Van Helden, and Tiësto. By 20 he had his own club night, which he ran for two years before the yen to make his own music led him into production. He experimented for several years before beginning to upload his tracks to YouTube, where his melodic, bouncy pop-house sound earned him millions of views. 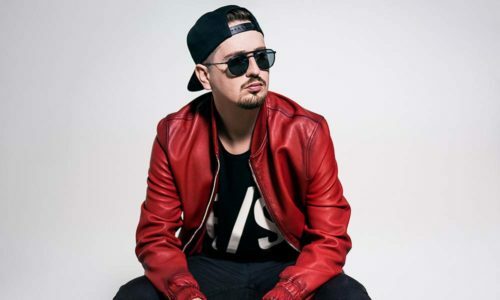 After the success of Robin Schulz first two singles, his third, “Willst Du” (Do You Want To), a remix of a satirical track by German rapper Alligatoah, was released in September 2014, and his debut album, Prayer, followed later that month. Having made his name with remixes, Schulz was not about to mess with the formula, and the album consisted almost entirely of his remixes of other artists’ songs, with only a few original productions. Later that year his remix of “Waves” by Mr. Probz became a massive dancefloor hit, while 2015 saw him release the single “Headlights” along with the sophomore album Sugar.